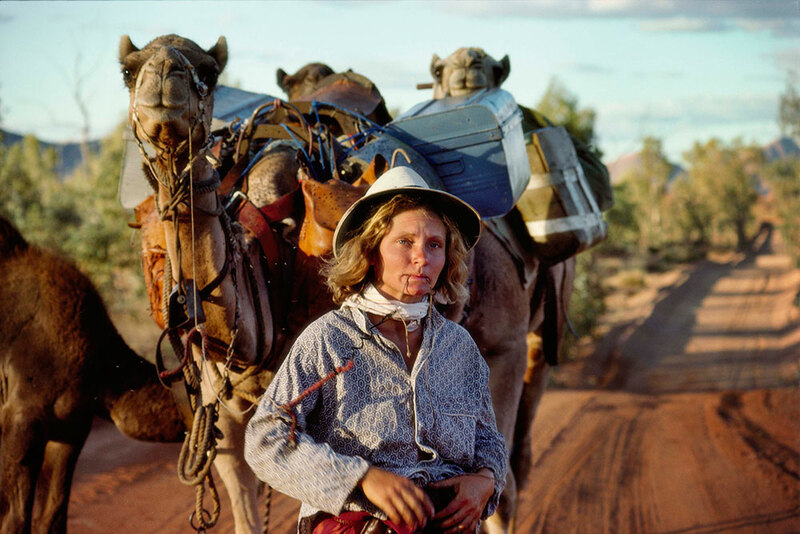 In 1977 at the age of 27, writer Robyn Davidson set off to walk across Australia with her dog and four camels. 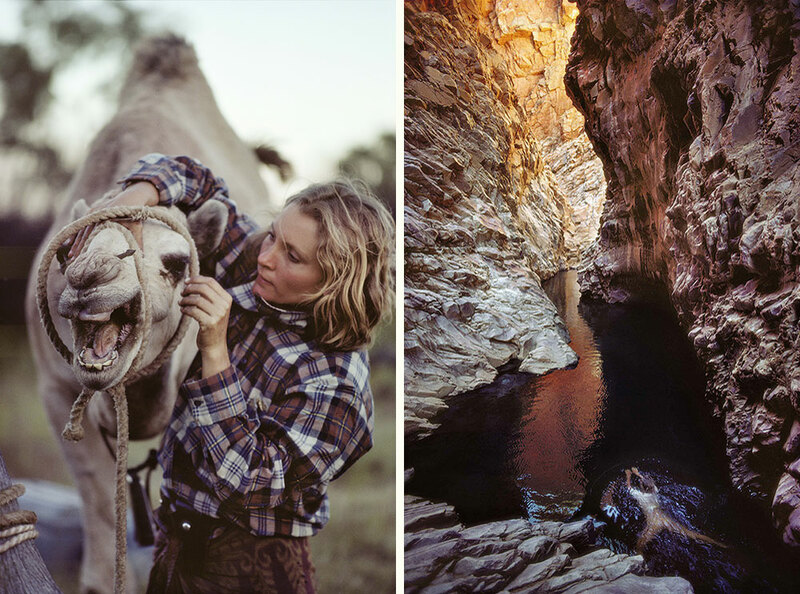 She made the 2,700 km journey from Alice Springs to the Indian Ocean solo, aside from the occasional visit from photographer Rick Smolan who shot these beautiful images. 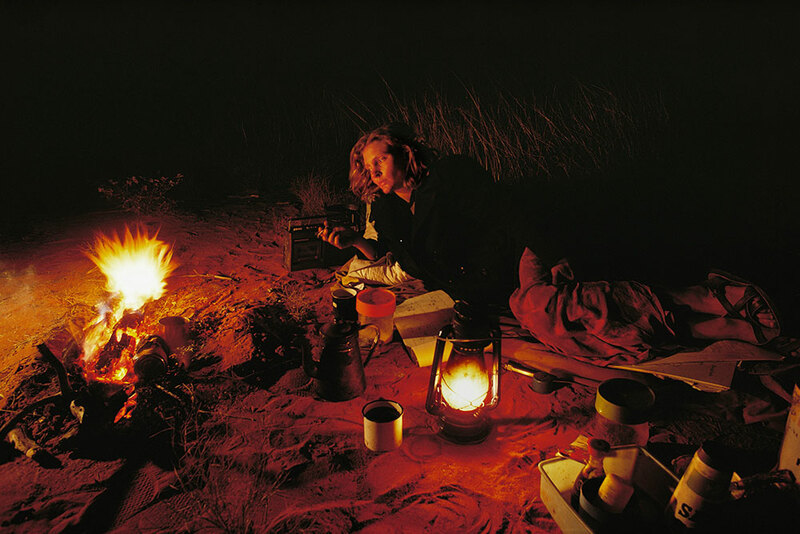 They were originally published in National Geographic alongside an article Davidson penned of her travels. Her story attracted so much interest that she expanded it into a best-selling novel titled Tracks, which was then later produced as a movie. I adored both the novel and film, which I once devoured on a long flight home. 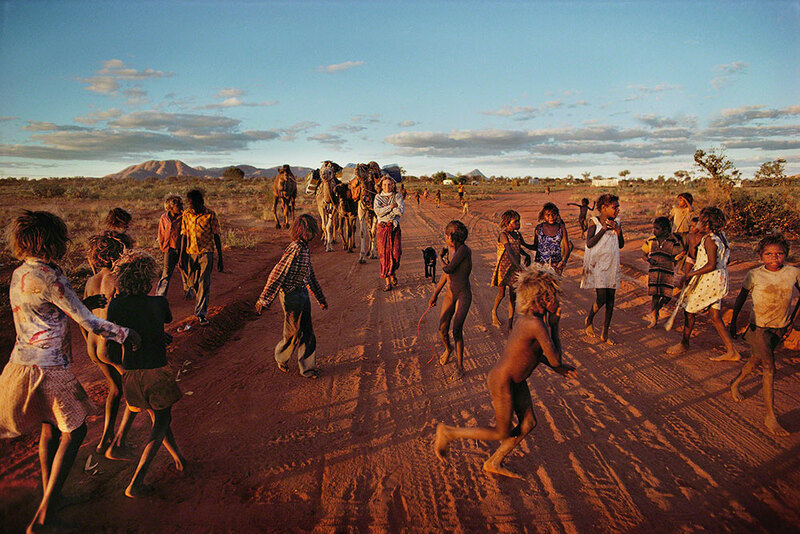 In the unforgiving outback she travels through Aboriginal communities and paints a picture of gender and race in Australia in the 1970’s. 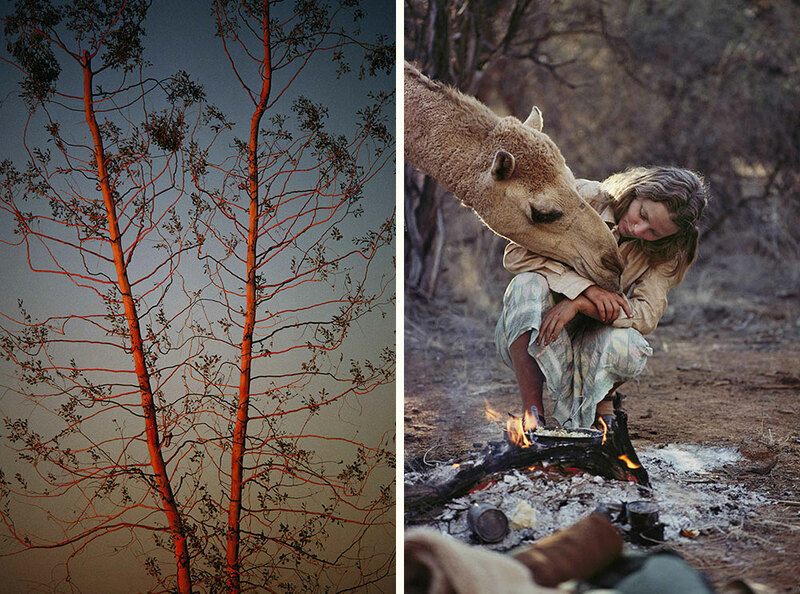 She describes how camels were introduced to the desert, her lessons in understanding the bush and her exchanges with Indigenous Australians living in the wilderness. These incredible images show parts of my homeland that I’ve never seen before. 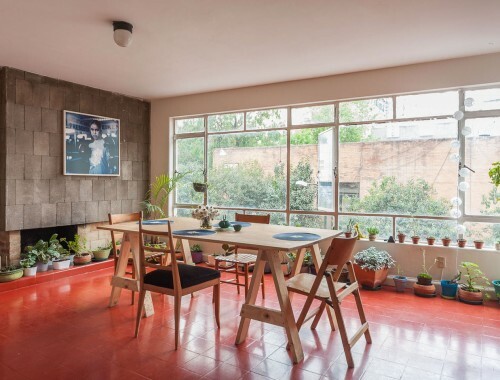 While I recognize the familiar wide landscapes with gum trees, dried grass, red earth and golden light; I still have so much more to learn and see for myself. Australia still has a long way to go in recognizing our native peoples and her story leaves me hopeful that things will change. Davidson has gone on to continue living a nomadic lifestyle and writing about her experiences, including those in India and Tibet. Her story of traveling with the Rabari in Gujarat, Desert Places is next on my list.